If you're looking for some unique ways to use your wire-o binding spines, then check out these 7 fun things to do with wire bindings, other than basic journals and notebooks. Glue a piece of wire to a foam board, little box, or any other base of your choosing and use the space between the loops to hold photos, and other sturdy papers. You can decorate the base like this pretty one, paint it all one solid metallic color for a cleaner and more modern look, or put some of your family's favorite quotes around the edges. Get creative, and make your wire photo holder as simple or as complex as you desire. 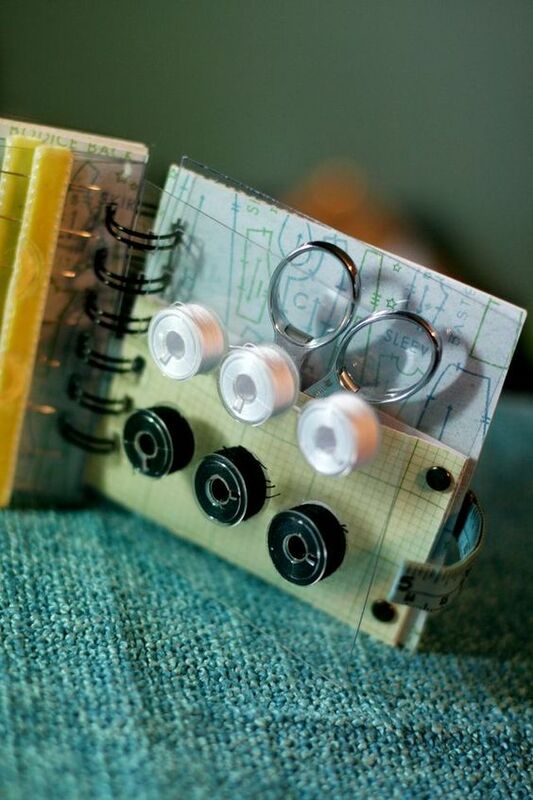 Instead of using your wire to bind a journal, make a multi-page book with sewing bobbin organizers and bind that. This cute little book can easily fit into your sewing or button box, and you can get real create and use a little strip of measuring tape with a snap-button to keep it closed. Glue, wires, sewing accessories, and imagination are all you need. 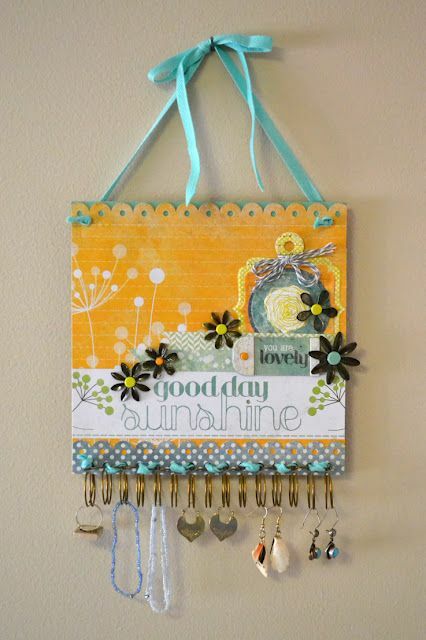 Create a decorate cover or board using stickers, scrapbook accessories and embellishments, and punch some holes in the bottom to fir your wire. Glue the wire in place, and leave it open, allowing for hanging of earrings, bracelets, rings, and other jewelry items. You can leave the wire open or close it, and simply bend it into a circular shape. 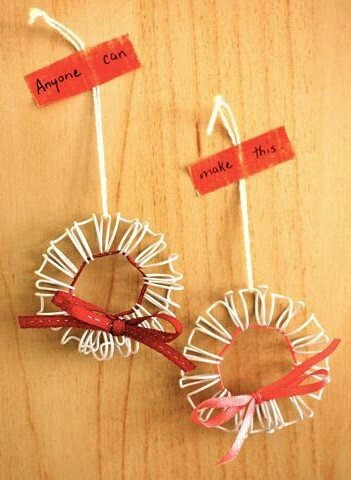 Glue the two ends together, add a hook or string, and weave a colorful little ribbon through the wire loops for a cute mini wreath Christmas tree ornament. 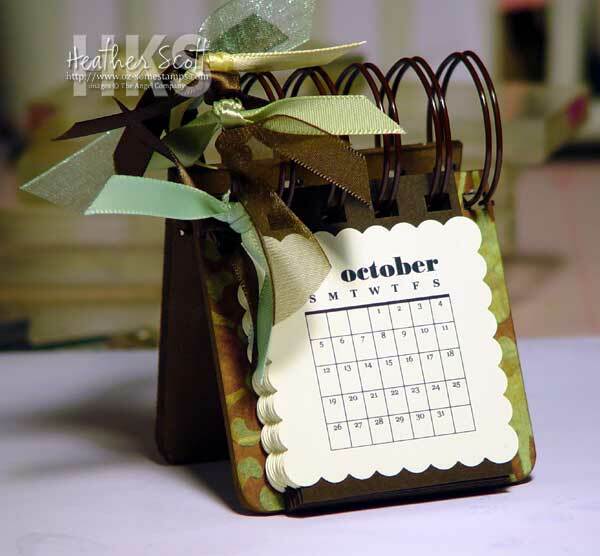 Create a "squee"able teeny tiny desk calendar. It might not be practical...but how can you resist it?! Cut your cleaned Starbucks coffee cut and flatten it underneath some heavy books. You can use pliers along the lip to help straighten it out. 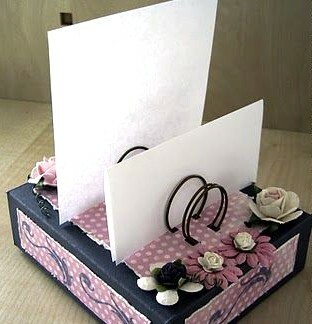 Punch holes, add whatever cute inner pages you want, and bind with a mini strip of wire-o. Add ribbons, glue on flowers, and embellish the cub as you see fit. 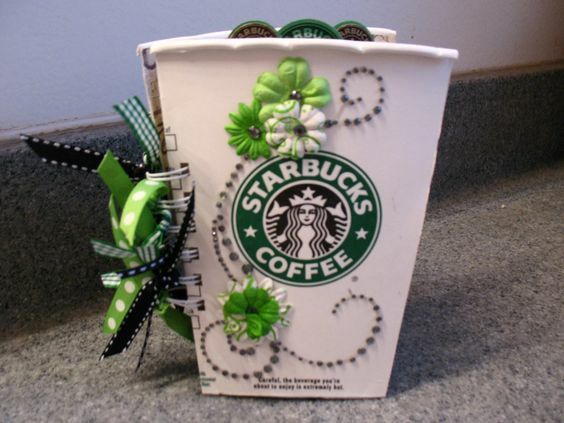 Perfect for those coffee lovers!